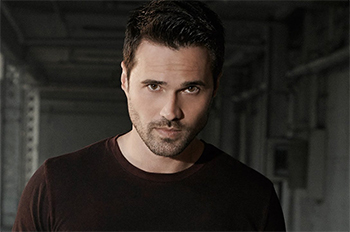 In November 2012, Brett Dalton was cast in a starring role in the Joss Whedon TV series, Agents of S.H.I.E.L.D as Agent Grant Ward. The series takes place in the Marvel Cinematic Universe, following character Agent Phil Coulson and his small team of agents, Dalton's character among them. Dalton's other television credits include Blue Bloods, Army Wives, Nurses, and National Geographic Channel's Killing Lincoln. His theatre credits include Passion Play, Romeo and Juliet, and Happy Now? (Yale Repertory); Sweet Bird of Youth and Demon Dreams (Williamstown Theatre Festival); Macbeth (Macbeth) and You Can't Take It With You (Chautauqua Theater Company). On May 16, 2014, Dalton was cast in indie drama film The Tourist, as Eric Lazard, a heartbroken former college football star who gets in over his head with a dangerous Florentine sport and alluring local woman, alongside Stana Katic and Emily Atack. In addition to on screen acting and theatre, Dalton voiced the character Mike in Until Dawn (2015), an action survival horror video game developed by Supermassive Games. In February, Dalton was nominated by the National Academy of Video Game Trade Reviewers for his performance. Dalton lives on the West Coast with his wife and daughter.